The Cohiba Siglo VI is perhaps the ultimate Cohiba, a medium to full Canonazo, of 52 ring gauge, 5.9” (155mm) long and comes in a box of 25 cigars. It is a beauty to behold; you would be hard-pressed to find a list of today’s top cigars that didn’t include the Cohiba Siglo VI. With its perfect construction, it is for many the best Cohiba, if not of above all the other Habanos. This thick Cuban toro (also known as a canonazo) was a 2002 release. The Cohiba Siglo VI possesses excellent construction. It is beauty to behold. It has a smooth burn and good draw. The smoke is rich and abundant. •	You should have one of these on every special occasion. •	Without a doubt the best cigar Cohiba ever made, if not the best in all Cuban cigar. These are perfect for all smokers as they have a great moist rich black cherry flavor but are not as strong as the Robusto or the Esplendido. The wrapper has a beautiful caramel brown color. The cigar is firm to the touch and the wrapper has only a few small veins and has a nice sheen in the light along with a great triple cap as well. The foot of the cigar releases lots of aromas before lighting it up, such as grassy tones, cedar, spices, leather and coffee. They are true Cohiba aromas. The wrapper shows an aroma of cedar, barnyard, and a subtle fruit taste that reminds us of cognac. Once the cigar light-up, the burn line is neat. The draw is near perfect, much more open than most Habanos. It allows all the aromas smelt before to be released, with the addition of some tangy citrus pinch. In the first third, the Siglo VI right off the bat shows its Cohiba character, lots of flavors and light body. The main flavors are of coffee and wood, soon joined by some leather, citrus zest and some sweet notes of fruits. The cigar is rich and complex, and its body strengthens by the end of the first third, being a medium-full by the beginning of the second third. The burn line is neat. The ash has a nice brownish grey color and the cigar produces a generous smoke. The second third of the cigar shows more complexity and even stronger flavors. The spices are still very strong, with the addition of some Asian spices. Some woody flavors of cedar and some taste of coffee also appear. As for many Cohibas, the citrus tangy taste is predominant in this second third, while some earthy notes appear. The whole mix of sweet, sour and spicy flavors is perfect. Somehow the strength of the body softens to be more a medium to medium full. The ash has still its beautiful brownish grey color; the burn is still perfect and there is still that abundant smoke. The last third is as pleasing as the first two. 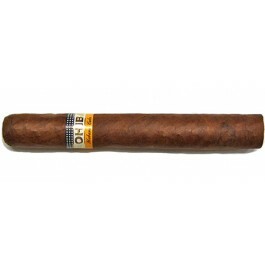 All the classic Cohiba flavors are here, tangy citrus, coffee, cedar, hay and spices, the earthy flavors are more discreet. The burn line is still awesome and neat. The ash darkens to a dark grey color. The strength of the cigar stays around medium. The cigar gets a little warm in the fingers when reaching the nub, but there are still lots of flavors. Lots of smoke is still generated for this entire final third. In summary, this cigar is made in order to satisfy the most discriminating and well seasoned cigar connoisseurs who expect perfection.